Earlier controversial, now world famous Pakistan’s “Diamer Bhasha Dam” is again infamously making to the headlines globally. 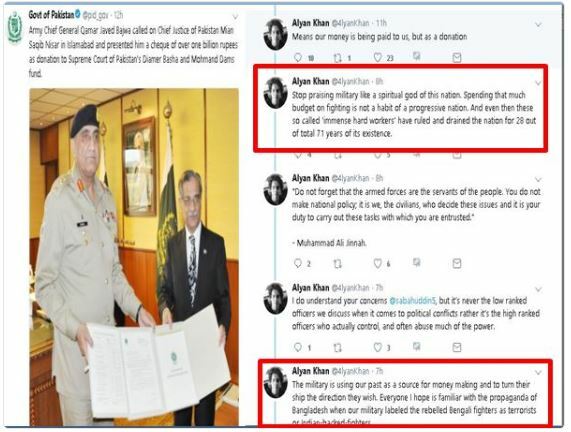 “Crowdfunding a joke in Pakistan“, “A Beggar Forever“, “Damn Oh Dam“, “Diamer – A Dry Can” are just a few jibes floating on social media. Given the project’s history, it is beset by several controversies due to an array of complications. Within Pakistan, the project is politically contentious and considered ecologically perilous, given its location in a high seismic zone. 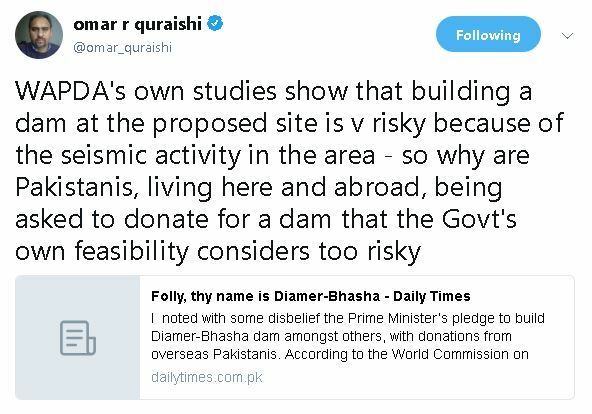 The recent controversy over collecting donations for constructing dams #DamsFund had not even sunk in when another controversy has again plagued it. Adding fuel to fire, Sindh Chief Minister (CM) Syed Murad Ali Shah very sheepishly has expressed his disapproval for the dam, citing location issues and highlighting the acute shortage of availability of water in the area. Murad said that the Bhasha Dam was located in the seismic area and water in the system was not available to such an extent that the dam could be filled. Elaborating on the availability of water in the system, he said that last year, instead of 10, only 7.5 MAF water was released to downstream Kotri. “As a matter of fact, 25 MAF water is required, otherwise the sea would keep encroaching further upon the nearby villages,” he said, and added that in the last 10 years, water releases to downstream Kotri show that for six years, it was less than 10 MAF and then went down further between two to four MAF. Murad further said that the record of water releases was available with the provincial government from 1922 to date. “If anybody wants to verify the figures, he is welcome to do so,” he said and added that the availability of water in the system was a big issue. Considering the humungous cost of this project which is footed by the savings and taxes of a common man/woman in Pakistan, there is an urgent requirement to study the feasibility of its construction and sustainability of such a mega project. To know the sources of water availability, the quantum of water available is essential to have a clear picture of the reliable availability of surplus water for storages. The dam debate is not new, but what is surprising is that why are facts hidden from the taxpayers donors and why aren’t these studies already in place? Perhaps, not many are aware that Tarbela Dam (1976) is the world’s most problem-stricken major dam in technical terms. The proposed Bhasha site is also located in the highly unstable seismic zone in a narrow valley of the upper Indus which is vulnerable to some extraordinary safety hazards. The dam would be situated in Chilas and there are signs of volcanic activity at its actual site within the 40km radius of the project site. Then is the Diamer project a mere eyewash? To shut people up for a considerable time, organizing donation drives in order to give the already water-electricity starved people a false hope of kick-starting a Ghost project and once again amassing their hard earned money. Suspicious as it gets, looking at the history of the construction, roll out and fall out of Tarbela and Mangla dams nothing can be overruled.